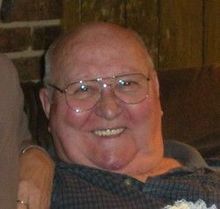 George Allen Lance, 72, of Arden, passed away on Saturday, June 20, 2009 at Mission Hospital. He was the son of the late Marian Hawes and Walter Eugene Lance. He was also preceded in death by his sister Brenda Nelson of Arden. Mr. Lance was a lifelong resident of North Carolina. He served in the US Navy and was a member of the Masonic Temple, Mt. Herman Lodge. Survivors include his wife Norma Cole of the home, step-daughters, Georgia Sales of Asheville, Debbie Cogburn of Candler, Lyn Jones of Hendersonville, Jenny Roseboom of Mills River, Brenda Pace of Fletcher, Deana Merrell of Durham, step-sons, William Cole of Greenville, S.C. and Rick Howell of Arden, brothers Luther Lance, Don Lance and Eddie Lance all of Arden, Bill Lance of Florida, Danny Lance of Georgia and a sister Guinn Franks of Georgia. George had 16 grandchildren and 16 great-grandchildren. A graveside service will be held on Tuesday at 11a.m. at Forrest Lawn Memorial Park with the Rev. Robert Jarvis officiating. To sign Mr. Lance's online register book please visit www.moorefh.net.